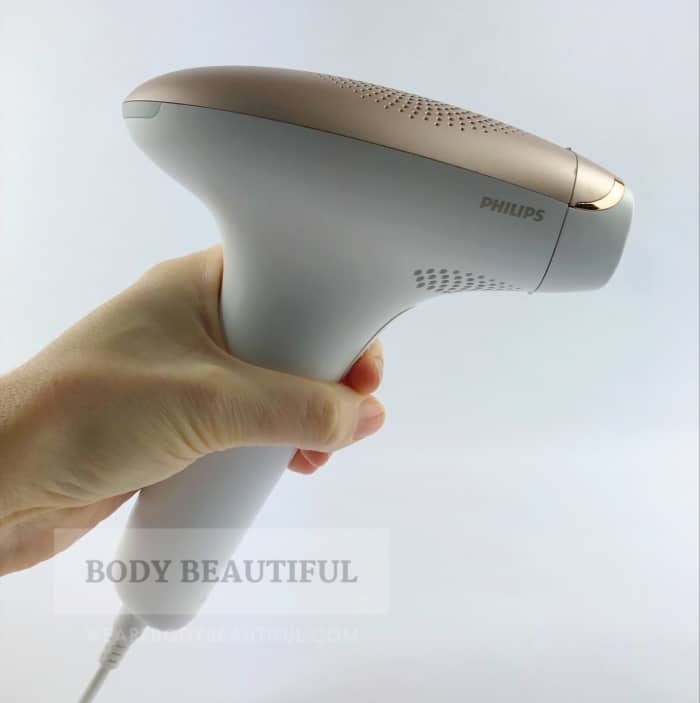 Braun Silk Expert 5 IPL vs Philips Lumea Advanced - you decide! 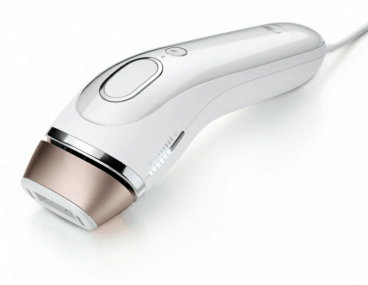 Which is best, Braun Silk Expert IPL or Philips Lumea Advanced? Both are great value devices, and it’s hard to decide between them! They look similar, both with a classy white and dusky rose-gold colour way. But each has a distinctive shape and different performance specification. To help you decide, read this comparison of how each device performs against the WeAreBodyBeautiful.com scoring criteria and a comparison of the features. You can check prices and buy your favourite using the links at the end of the article. Here’s my comparison round up of the 2. For lamp lifetime value they’re similar. The Lumea Advanced models have a long lamp lifetime lasting 15+ years of monthly full body treatments (Philips say up to 20). The Braun IPL too has a long lamp lifetime of 15+ years. They’re both excellent value and provide many more flashes than you’ll likely need. 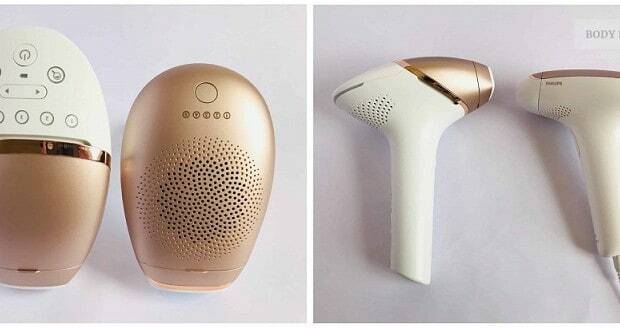 The Braun IPL although ergonomic, isn’t as intuitive or as comfortable as the Lumea Advanced’s gun-shape. The Braun IPL also has a single medium-size 3 cm² treatment window. It’s the optimum size for both large areas and tricky surfaces like your upper lip. But I do like the precision and bikini attachments that come with the Advanced. 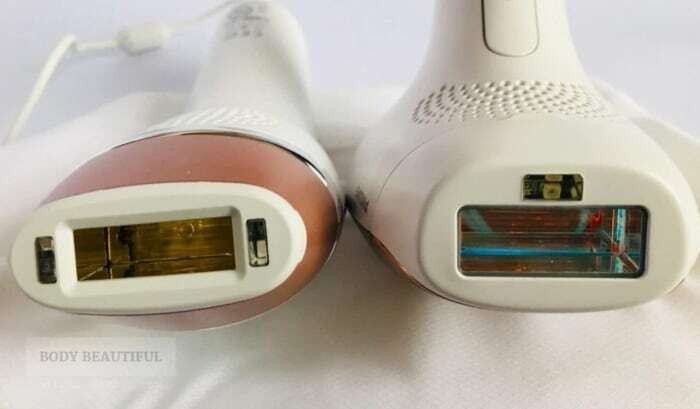 The Braun silk Expert 5 IPL (left) has a single multi-use flash window. It measures 1 cm by 3 cm and is the optimum size for flashing smaller areas like the upper lip, and large areas like legs fast. The Lumea Advanced has a larger body flash window. It measures 1.5 cm by 3.5 cm. That’s great for larger body areas like legs. But the Braun Silk Expert is still faster to cover a full leg because the flash repetition rate is much quicker. The Advanced has 5 intensity levels suitable for light to medium skin tones (Fitzpatrick types I to IV). The Braun IPL 5 is safe for a broader range of tones. It has 10 intensity levels suitable for light to dark skin tones (Fitzpatrick types I to V). With 10 intensity levels you get a more precise IPL for your skin tone. Both devices have a skin tone sensor that stop the flashes if your skin tone is too dark. However, the Braun IPL is more advanced. It checks your skin and then selects the best of the 10 intensity levels for your tone. And it does it before every flash, so it’s great if your skin tone varies by body area. It makes for straight-forward, foolproof treatments. The biggest difference between the Braun and the Advanced is the speed of treatments. You can finish a full leg from around 14+ mins with the Lumea Advanced. This is good, but the Braun IPL has it beaten. It has a much quicker flash repetition rate. Braun say you can finish a full leg in around 8:30 mins. In my experience it’s more like 10 mins because I’m thorough. That’s still one of the quickest high power IPL out there. This may be enough to sway you from the Lumea Advanced especially if you are treating your full body. But for smaller body areas the Advanced is fine – it takes minutes. So it’s a fine choice for face, bikini line, underarms and forearms. 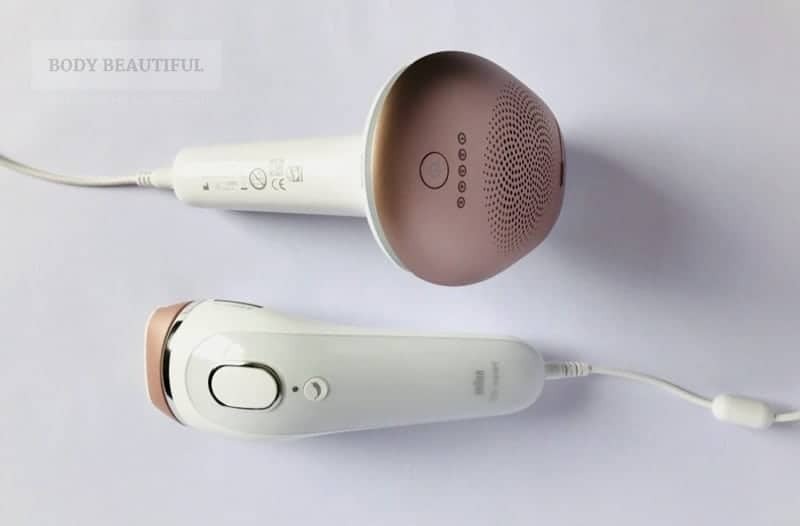 Braun are a trusted brand with a great repuation in beauty and electrical devices. Their customer support is great. Responses are prompt and thorough and there’s also a helpful treatment App to schedule your sessions and find helpful information. Unfortunately they don’t give the extra reasuurance of a money back guarantee period. Philips too have an excellent reputation and they give expertly and prompt advice to questions. They also provide support and advice via online chat. You also get a helpful treatment calendar App with ‘how to’ guides. Plus a reassuring 100-day money back guarantee from Philips. What’s the feedback and results? Both devices have excellent online feedback and helpful reviews. There’s not much difference in the scores. The majority of online feedback for the Braun Silk Expert is positive. The reviewers love the fast no-fuss treatments and report great results. For the Lumea Advanced there’s loads of love for the lightweight, gun-shape and mains-power operation. A few mention it’s time consuming for large areas. The deciding factor may be price. The Braun IPL Recommended Retail Price (RRP) is £399. 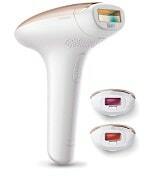 The Lumea Advanced RRP is £325 to £385. They’re all in the same range. Offers are common for all devices and you may find all for under £300. So check to see which is in budget using the links below. Both devices are great choices. The flashes last for over 15 years of monthly full body treatments, and because they’re mains-powered they’re ready to go when you are. The online reviews love them and you get great customer support from both Braun and Philips. With the Advanced you get a 100 day money back guarantee too. I recommend them for different types of treatments though. Keep reading to see which. The table below shows the comparison specification of the Lumea Advanced and Braun IPL. Both devices are top choices. They’re my recommended Best buys but for different reasons. 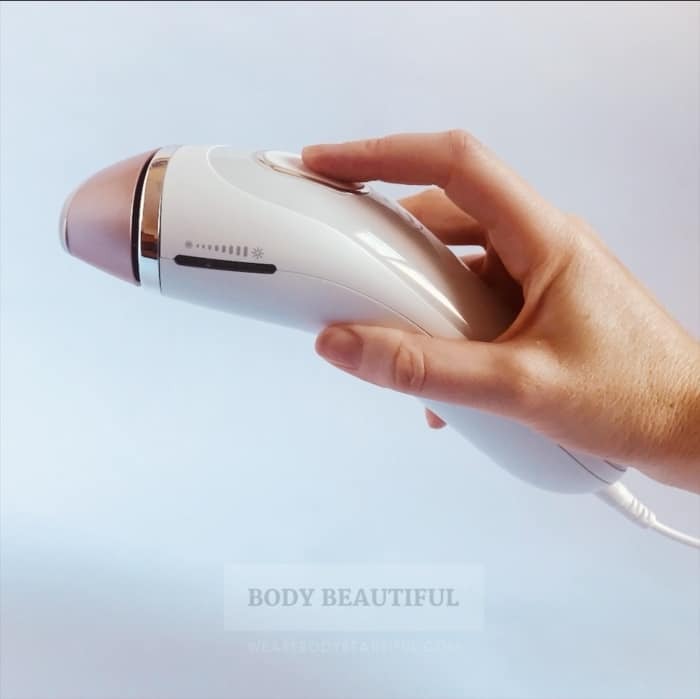 I think the Lumea Advanced is a great choice, especially for treating smaller areas like your bikini line, underarms, tummy, forearms and face. That’s because of the great gun-shape, specialist bikini and facial / precision treatment windows. And because the slower speed of application isn’t as big a deal on these smaller areas versus on torso and full legs. It’s my best at home IPL hair removal for smaller body areas. It’s also a decent choice for treating your full body. You’ll get years and years of use, the distinct gun-shape is very comfortable and the specialist treatment windows are an added bonus. But it’s slow to cover large areas. you can split-up your treatments across days so you don’t notice the slower speed of application. Read the full Lumea Advanced review here. 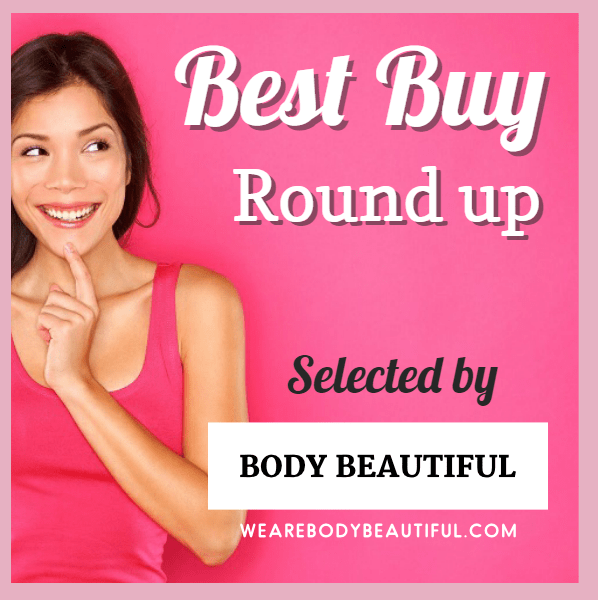 I recommend the Lumea Advanced as a great mid-range choice for under £300. It’s my best at home IPL hair removal for smaller body areas. The Braun Silk Expert 5 IPL is a premium choice and one of the best available for treating your full body and face. The advanced skin tone sensor makes for foolproof treatments and it’s fast to cover your skin. It wins my Best Buy award for fast, safe and simple treatments. 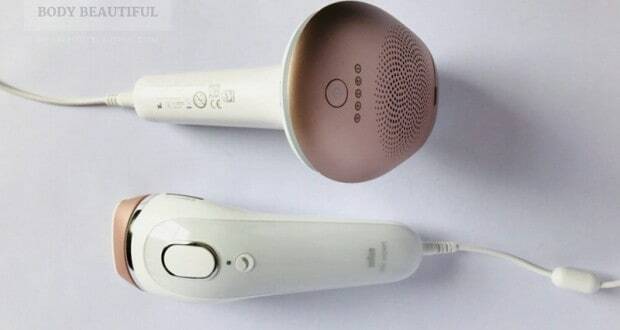 The Braun Silk Expert 5 IPL is my recommended best buy for powerful & foolproof home IPL device. It’s one of the best for fast face and full body treatments done in one session.